We love seeing the world through the lens of The Voyageur, one of our 24 Best Travel Blogs and Websites 2014. We asked Pauline Chardin, the fashion designer and photographer behind the blog, to let us in on some of her travel photo albums from time to time. 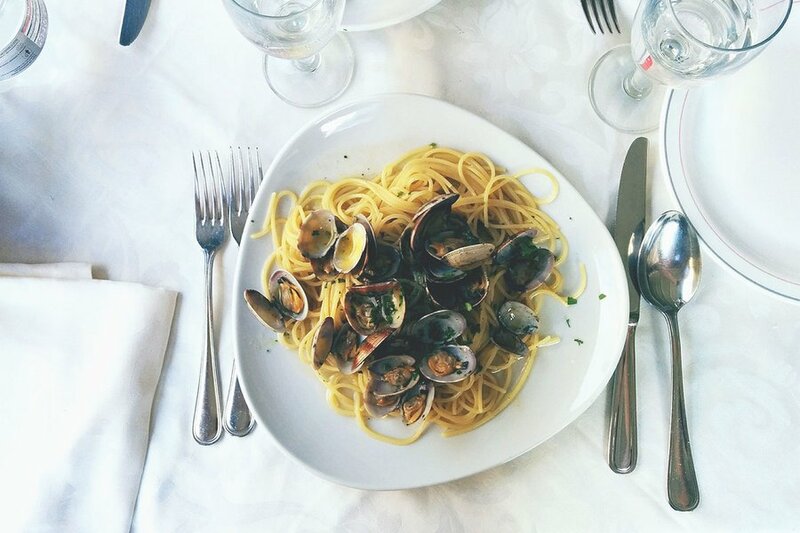 She whipped up a batch from a trip to Palermo, Sicily, that she took at the start of winter. I was told Palermo was as authentic as they come. I was told that I might not recognize Italy. It sure felt like some remote and exotic version of the Italy that I know. The atmosphere of the city is spellbinding. We arrived at night — which is how it should be done everywhere, if you ask me — and were instantly taken. The busy streets, the penumbra, the intricate silhouettes of the balconies above our heads, the warm air. The more passionate moments for me are usually the firsts, when every detail seems enchanting and you’re in a hurry to take it all in. Let’s just say that Palermo made a good first impression. Here it is, Palermo, the scorching hot, stormy, gritty Sicilian town with the bad reputation. Yet, in November, it would be more tempting to describe it as balmy, captivating, and surprisingly exotic. It’s true that the buildings of the old town can be a little rough around the edges, so if you like your Italy with a fresh coat of paint, you should head for Lake Como instead. There are plenty of ruins here, side by side with gorgeous palazzos and churches. 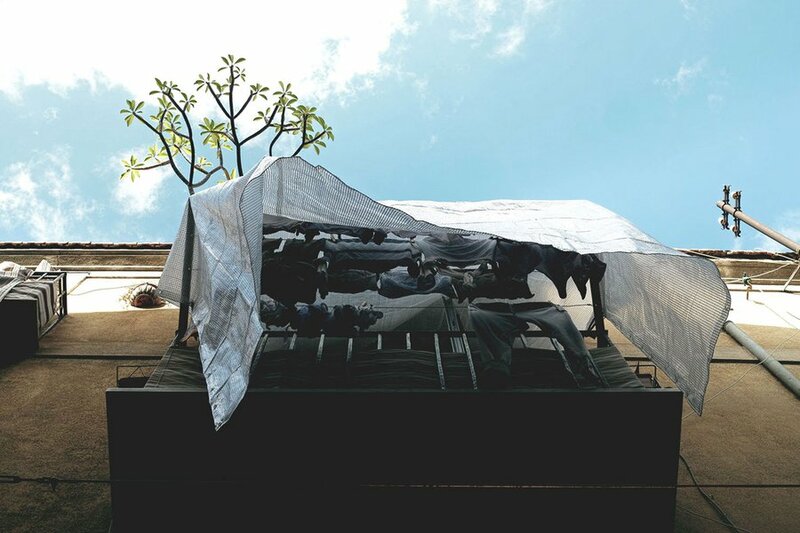 Balconies are a true Sicilian curiosity, covered with tarps to keep in the heat, planted with extravagant trees, crumbling with laundry, or sculpted in an extravagantly baroque way. They also make night walks pretty impressive with their intricate silhouettes on the navy blue sky. Once again, you have to look up! Street food is a big thing in Palermo, and it's usually fried. 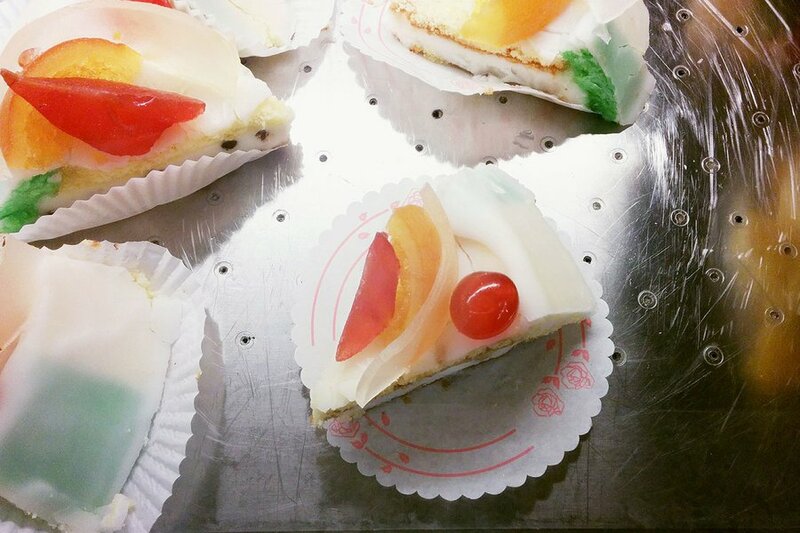 For me, happiness took the shape of Sicilian Cassata. This ricotta cake covered with homemade candied fruit is definitely more my speed. 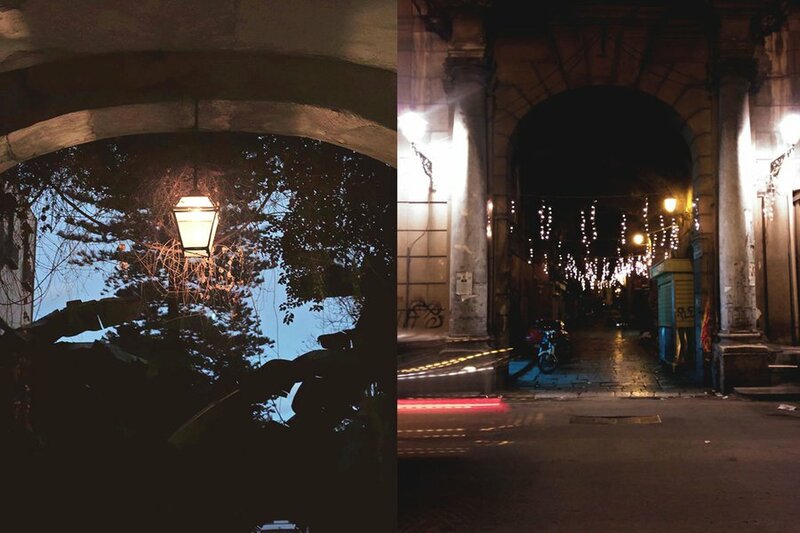 The image shown is from a well-known Palermitan food spot, L’Antica Focacceria San Francesco (via Alessandro Paternostro, 5). For me, churches are definitely the wow-factor of Palermo. 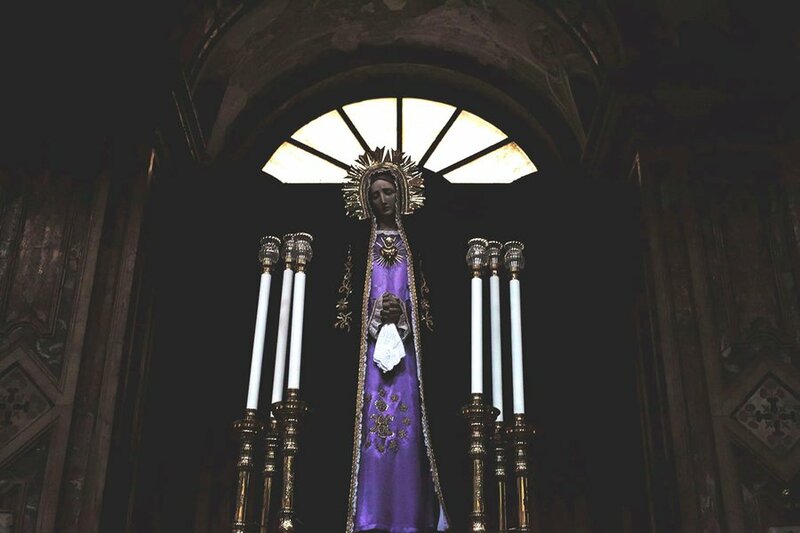 I expected the Sicilian baroque to be pretty impressive, but what I saw went beyond my dreams. 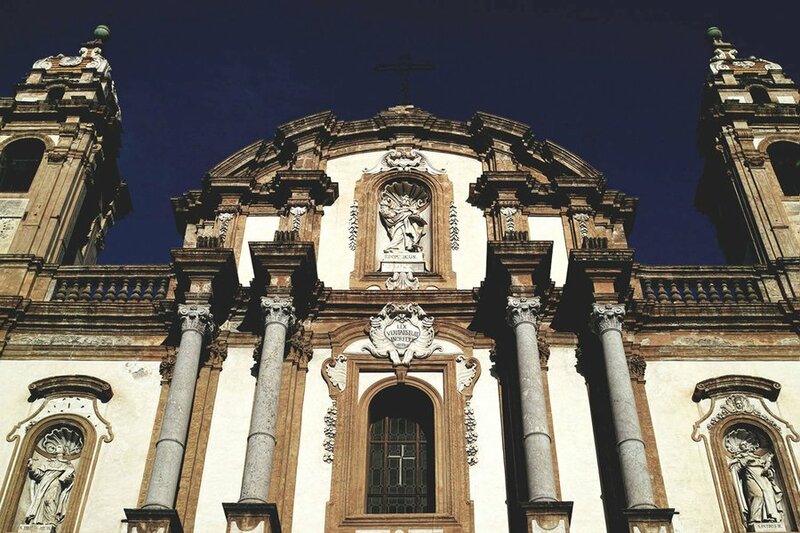 The image shown is from the monumental façade of the San Domenico church. Most of the churches you find in travel guides are the ones that have been completely renovated. They will obviously look gorgeous, but I feel a little of their charm gets lost in the process. Part of the pleasure of “church-hopping” is to discover the way churches age over time — with darkened walls and half-erased frescoes. Sicilian markets are almost as authentic as they come, don’t expect to find perfectly arranged vegetables and enjoy the atmosphere! 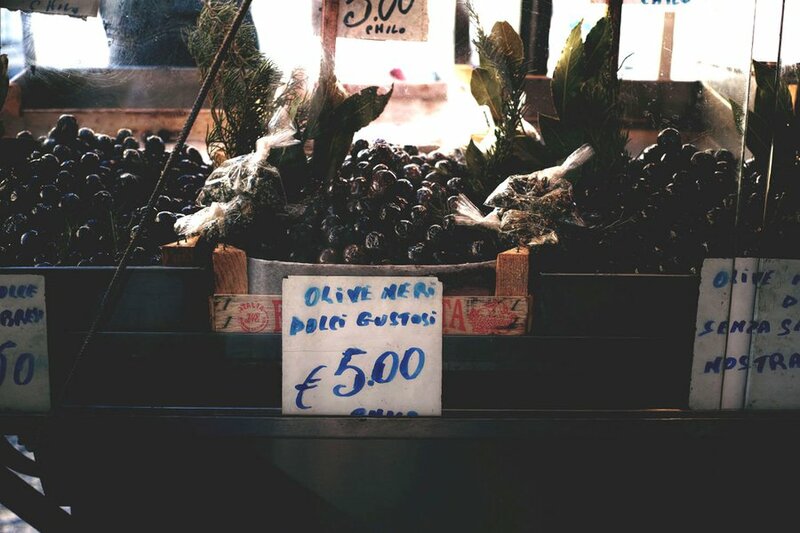 This picture was taken on the Ballarò market, but you can also visit the slightly more sophisticated Vucciria market. 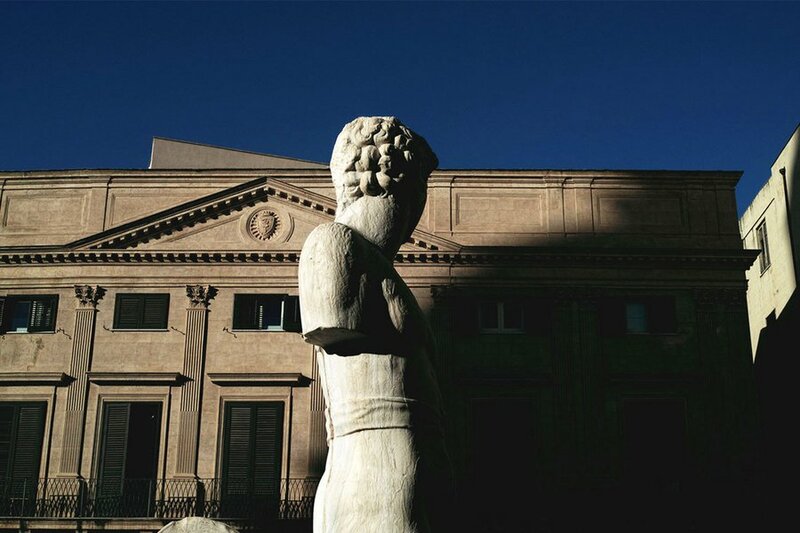 One of the most spectacular places we visited was Palazzo Mirto. 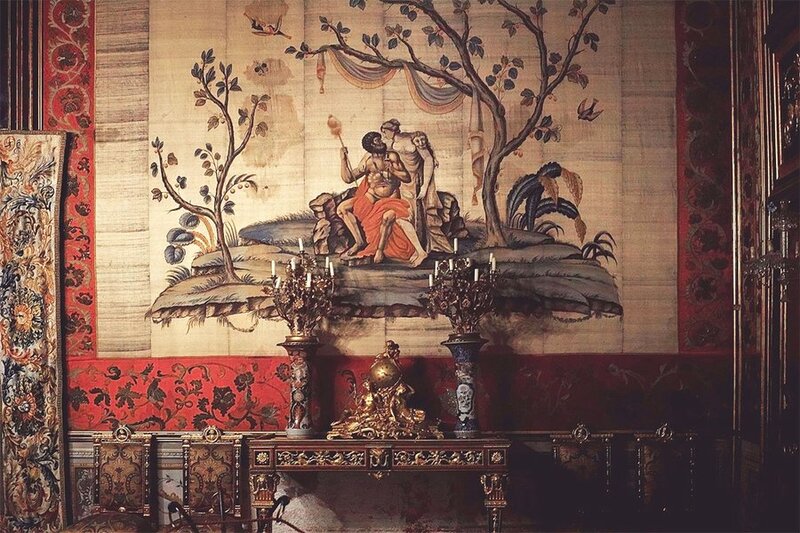 This really took my architectural fantasies to the next level, allowing me really picture what it could have been like to live in the perpetual chiaroscuro of an impossibly opulent mansion. If the city already looks a little secret by day, by night the mystery only thickens. 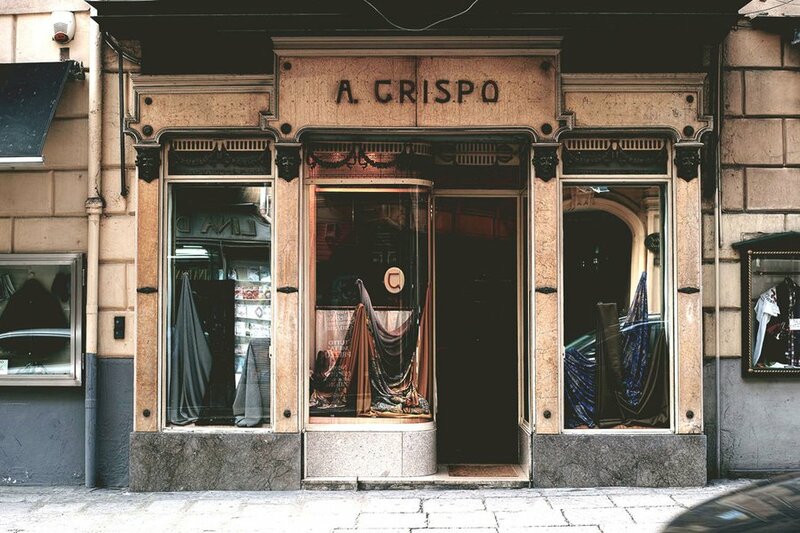 Ghostly palazzi, lush trees in dark courtyards, and obscure alleys lined with baroque balconies make for quite fascinating walks. You could say that Palermo cleans up nicely, too. We’re not so far from the crumbling old town, but on Piazza Pretoria it’s Italia’s greatest hits all over again with a huge fountain at the center, statues everywhere, a colossal church on one side, and impressive palazzi on the others. The new town might not have the charm of the old one, but there are a few Art Nouveau and Art Deco buildings worth seeing. The best dining options are here, too. 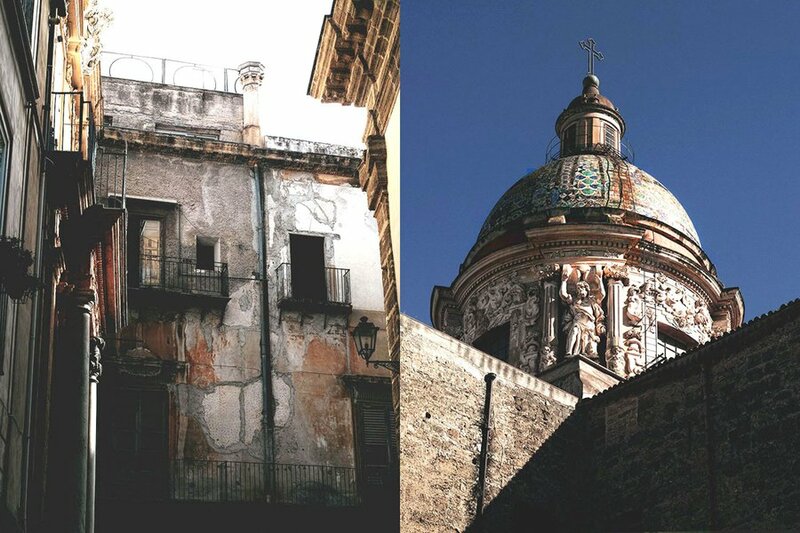 I’m rambling about baroque architecture, yet Palermo’s patrimony really extends beyond it. 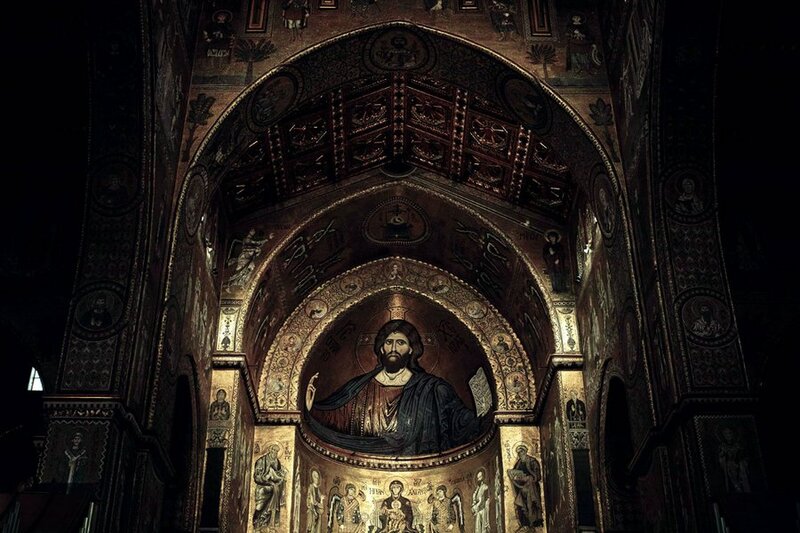 The 12th century Duomo di Monreale might be the most awe-inspiring proof of that. I’m talking about an enormous, 800-year-old cathedral, with wall-to-ceiling gold mosaics. 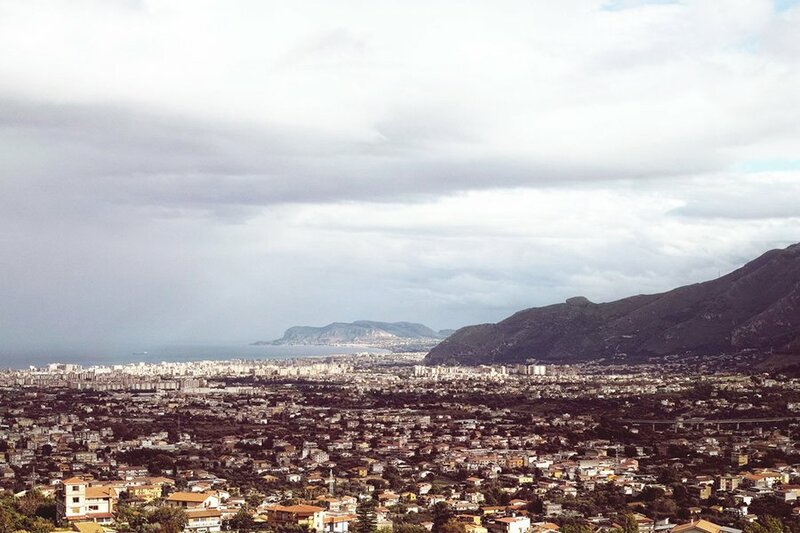 It's just a few kilometers above Palermo, in the small town of Monreale. 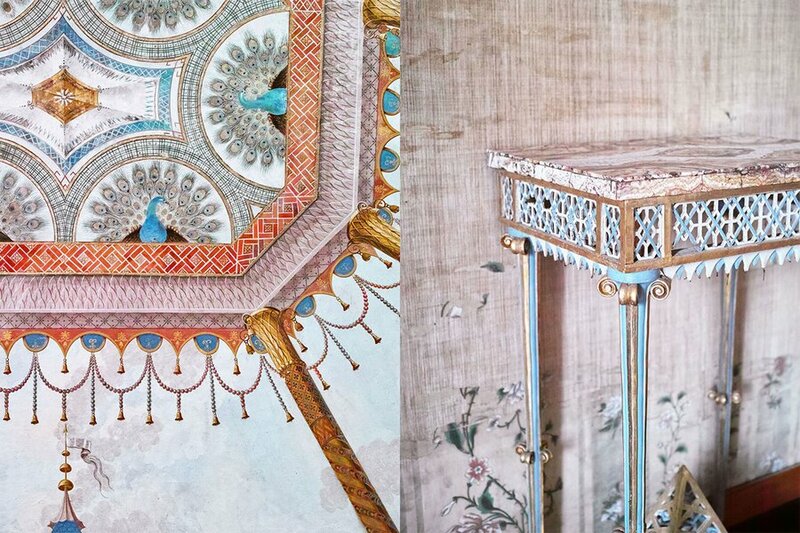 A Chinese palace in Sicily? If you venture a bit north, in the middle of the rather untrimmed-but-beautiful Parco della Favorita, you'll find the perfectly restored Palazinna Cinese, a 19th century mansion that manages to find a balance between kitsch and grace. The entrance is free and it's on the way to Mondello, so there's no reason to miss it! 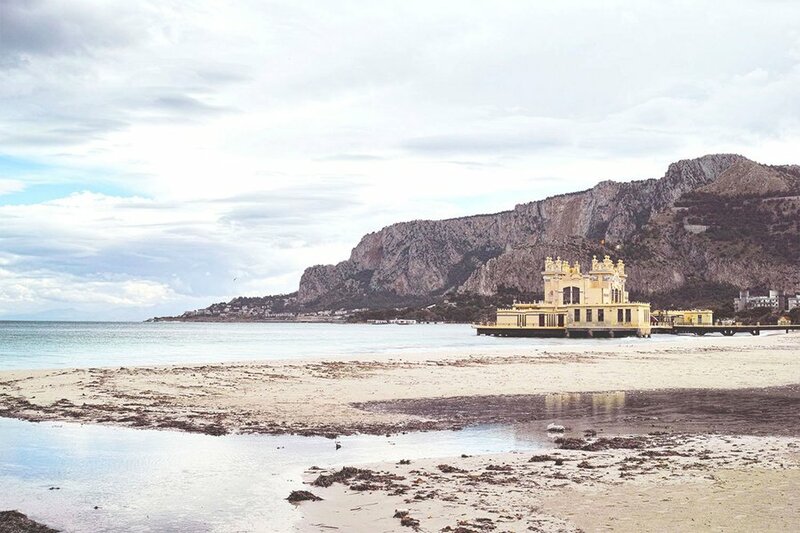 Here we are in Mondello, the beach annex of Palermo. I hear the crowds make it awful in the summer, but what about its off-season charm? I love the deserted seaside resort mood, with the quiet Lido and the empty Art Nouveau villas. 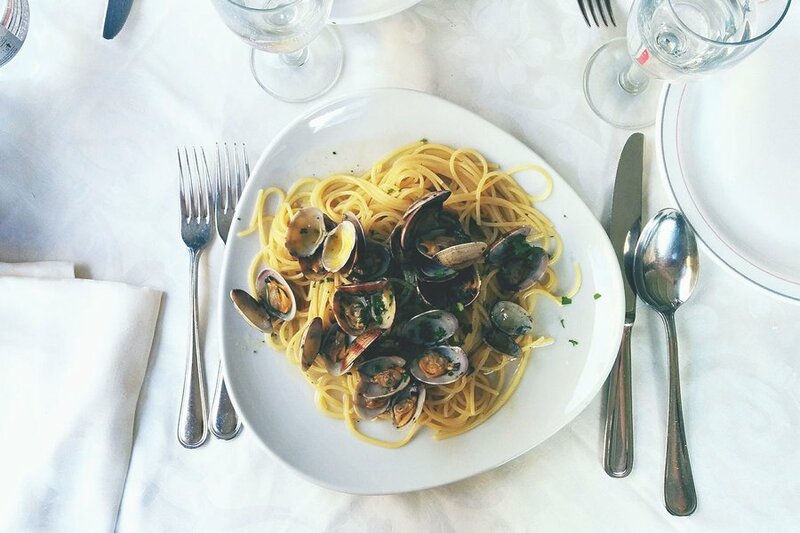 guess it didn’t hurt that we had the best linguine alla vongole ever in a small restaurant on the harbor. It’s called Ristorante da Nicolò e Figli, on Piazza Mondello, 44, and it’s fabulous. Pauline is the eye behind thevoyageur.net and a fashion designer based in Paris. You can follow her on twitter @the_Voyageur. She travels for the inspiration.